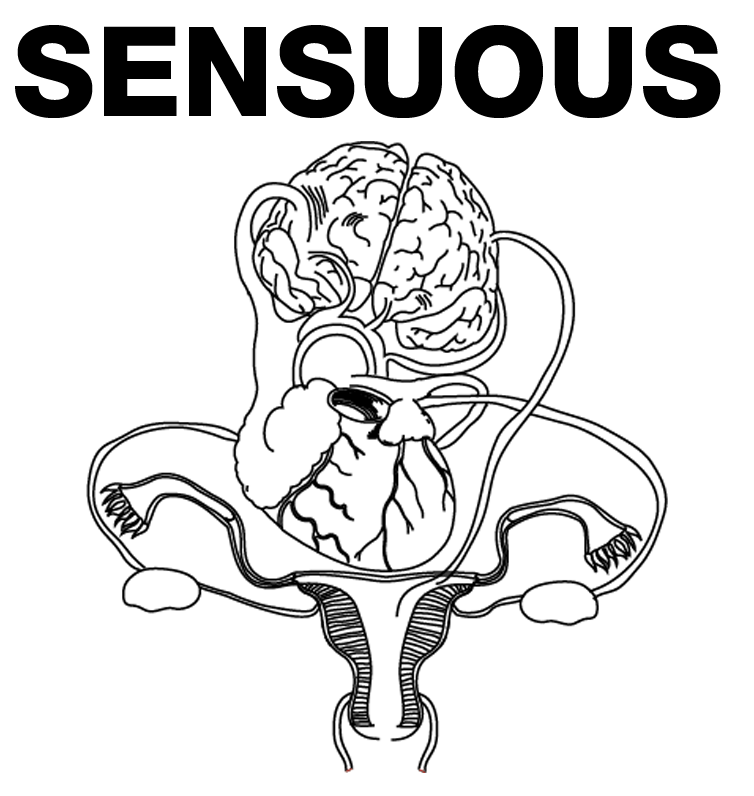 Sensuous learning is the conceptual frame to explore the lived learning experiences that have been explored, unfolded and recorded in our practice for almost a decade. Our practice operates from the intention articulated in the Sensuous society manifesto, which we wrote as a response to the financial and ecological crisis in 2008. This manifesto argues that the aesthetic dimension has been under-prioritized since respectively the Enlightenment and The Industrial Revolution, in that cognitive and rational perceptions, recognition and experiences was valued higher than the sensuous, which is at the core of the aesthetic experience of the world, as described by Baumgarten and the aesthetic philosophy following him. Furthermore, it argues that since then, art has been more or less exclusive due to its autonomy and the idea of the ‘art-genius’ – that only people with very special transcending intelligence have access to this mode of experiencing the world. Art is a quintessenced mode of the aesthetic dimension, however the sensuous and poetic mode of experiencing the world lives within all of us – As we say in our performance methodology of The Poetic Self – The Poetic Self is inherent within us. Therefore, we also aim at ‘democratizing the aesthetic dimension’, by which we mean to unfold and open the sensuous within potentially everyone and on the multiple stages of society. This intention unfolds in our practice. Through immersive, interventionist and interactive performance art strategies, we apply a sensuous and poetic layer to different institutions of society in an exploration of what this institution would be, if this were an institution of a Sensuous society. Sensuous society is a potential future world governed by aesthetic, by which we mean sensuous and poetic, principles instead of rational and economic, which are currently governing society. We see the possibility of exploring what any institution or relationship would be if governed by aesthetic principles – E.g. : What would the prison of a Sensuous society be? What would the Hospital of a Sensuous society be? What would the bank of a Sensuous society be? What would the family of a Sensuous society be? Etc. However, we are currently exploring what city life and living in a Sensuous society would be with the large-scale project the Dome of Visions, and what the school of a Sensuous society would be with the large-scale project Sisters Academy. The lived findings of this experiment are Sensuous learning contributions. These are recorded in the expansive data material of our sensuous Archive, consisting among other of notebooks, diaries and artefacts from the different layers of participants in our Sisters-manifestations. In Gry Worre Hallberg’s forthcoming practice-based PhD with the working title: “Sensuous Transformation: Democratizing the Aesthetic and Sustainable Futures” (since 2016, but may of course change before I hand in my thesis in 2020), we will look at this data and investigate this practice theoretically when exploring from current research question: “What is sensuous transformation and how does it contribute to a sustainable future through sensuous learning processes?”. Read more on Sensuous Learning here. 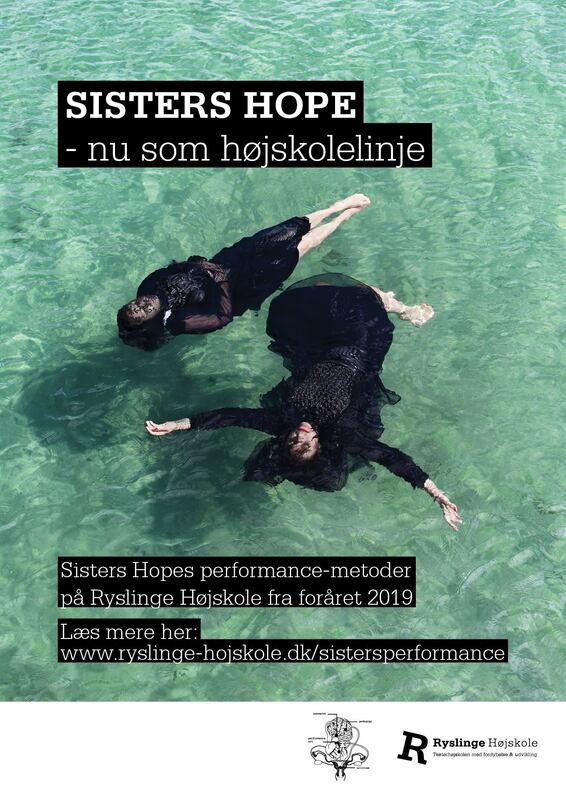 “Sisters Hope’s Performance Methods – Sensuous Learning” as a full time programme at Ryslinge Højskole, spring 2019 and potentially beyond.